What is the HIIT Workout Program? A HIIT workout is a type of training that requires you to perform quick intense exercises which are then followed by short rest periods for recovery. This interval training enables you to burn more fat in a short period of time by keeping your heart rate up. During a HIIT workout, there is a shortage of oxygen in your body. As the need for oxygen increases, your body will then ask for more oxygen while it is recovering. This process enables you to burn fat and calories like crazy—even when you are resting. Is the HIIT Workout Beneficial? Convenient and quick: If you have a busy schedule, this could be the type of exercise for you. You can do this type of training in a hotel room, at home, at the beach or even in a park. Most of these workouts only take 30 minutes or less. Increases your metabolism: A HIIT workout increases the level of metabolism in your body. This makes it possible for you to burn fat and calories even after finishing the workouts—up to 24 hours! No equipment necessary: You do not need any type of equipment, not even dumbbells, to complete interval training. The aim of doing HIIT workout is to push your heart to the maximum, which can be done with your own bodyweight. You do not lose muscle, just fat: It is quite depressing to lose your hard earned muscle when trying to lose fat. 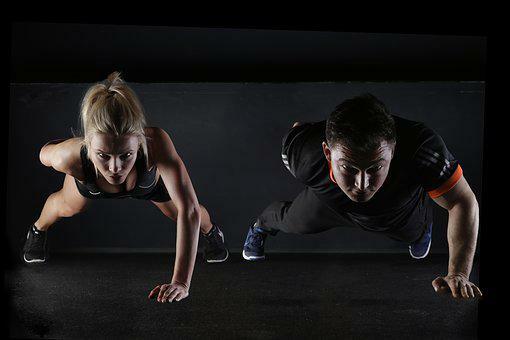 Luckily, HIIT allows you to preserve your muscles by ensuring that the weight is lost solely from the fat stores. Challenging: Interval training takes a very short time which means that you will be working the whole time, leaving you no room for boredom. However challenging it may be, it is a quicker way to notice changes and see results. Now that you have read some of the benefits of interval training, you can start your workout journey with the following HIIT workouts. With a 100% effort, do each exercise every day with a rest of 30 seconds in between and an objective to finish faster each time. High-Intensity Interval training is beneficial if you have a busy schedule and are trying to get healthy, as well as lose body fat. Before you can incorporate HIIT workouts in your routine, talk to your doctor to be absolutely sure that this type of training is safe for you.